Project Dance Company Competition Team is for dancers 3-18 years old with dance training. It is also home of the tap ensemble Rhythm N' Shoes The Company. PDC is made up of girls from Macomb, IL & the surrounding communities & trains weekly. Additional practices are added as needed. Dance team is a wonderful way for students to find their love for dance as well as performing. You will see these dancers placing in the Top 10 at many competitions. All styles of dance are offered including jazz, tap, hip hop, musical theatre, lyrical, and contemporary. Solos, duo, and trios are also offered to compete. Project Dance Company is a traveling competition team. 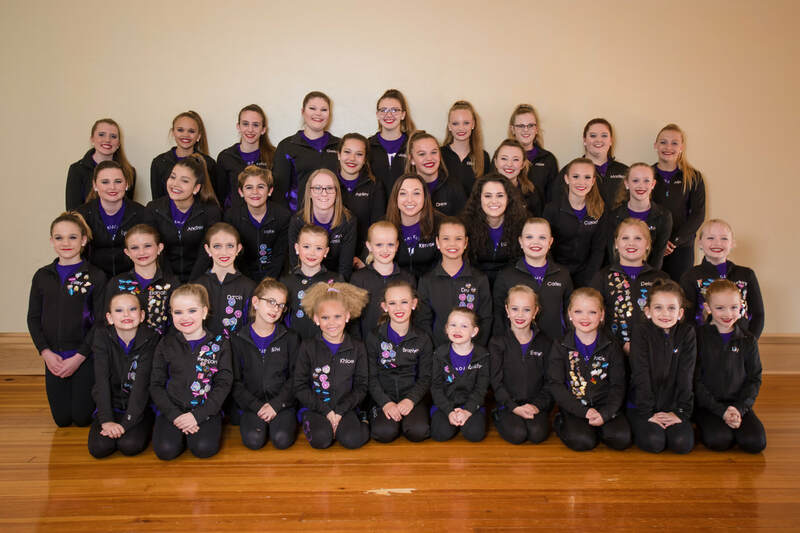 The company competes at around 5-6 competitions throughout the season within the Chicago, St. Louis, Des Moines, and Quad Cities area. The team also performs around the community & at Western Illinois University throughout the year. Company members are selected by annual auditions which are held each summer.